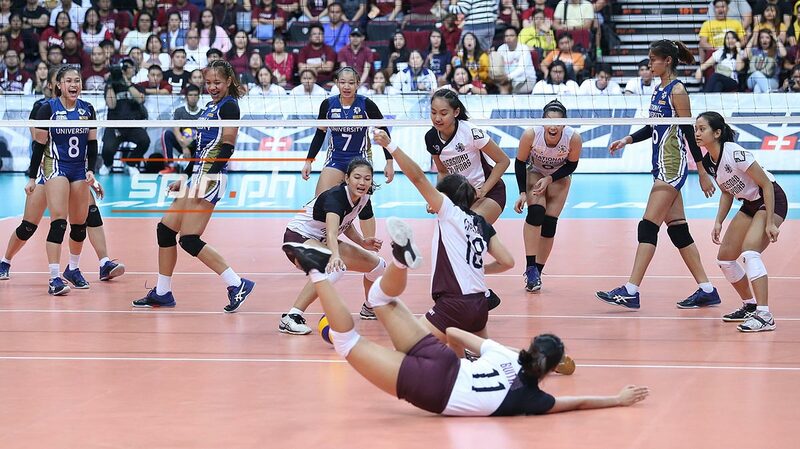 UNIVERSITY of the Philippines’ two preseason championships meant nothing for head coach Godfrey Okumu after the Lady Maroons failed to make the Final Four of the UAAP Season 81 women’s volleyball tournament. The winners of two collegiate tournaments of the Philippine Superliga and Premier Volleyball League failed to live up to expectations as a 21-25, 24-26, 25-17, 25-23, 15-17 loss to National University left UP out of the semifinal picture. “It’s kind of not real when you win two championships and you don’t make it to the Final Four,” said Okumu after the the Lady Maroons dropped to 6-7 and blew any chance of salvaging a playoff for the No. 4 spot. UP opened its second round on a high note with a big three-set win over La Salle, forcing a four-way tie for second place with La Salle, Far Eastern University and University of Santo Tomas on 5-3 cards. But the Lady Maroons lost four of their next five games, capped by three straight losses that shattered their Final Four hopes. “But I hope that we will regroup and think of a way forward,” he added. The Kenyan coach admitted that there are a lot of factors that affected his team, which they have to work on in the future. “Sometimes it’s not only the results from the players who played well, but there are many factors that sometimes affect the team,” Okumu said.